Rob Delaney (born January 19, 1977) is an American comedian, actor, and writer. He is widely known as the co-star and co-writer of the TV show Catastrophe, as well as a minor role in the 2018 blockbuster action-comedy Deadpool 2. Delaney was raised in Marblehead, Massachusetts. He attended New York University's Tisch School of the Arts and graduated with a degree in musical theater in 1999. Delaney first came to the attention of the public via Twitter, on which he started posting in 2009. By 2016, Delaney had over 1.2 million followers. While other comics were hesitant to share their material on social media, Delaney is considered one of the first comedians to use social media to publish jokes. Delaney credits comedy writer and director Graham Linehan with his rise in popularity after Linehan began responding to Delaney's tweets. For other people named Robert Delaney, see Robert Delaney (disambiguation). Rob Delaney (born January 19, 1977) is an American comedian, actor, and writer. He is widely known as the co-star and co-writer of the TV show Catastrophe, as well as a minor role in the 2018 blockbuster action-comedy Deadpool 2. Delaney was raised in Marblehead, Massachusetts. He attended New York University's Tisch School of the Arts and graduated with a degree in musical theater in 1999. Delaney first came to the attention of the public via Twitter, on which he started posting in 2009. By 2016, Delaney had over 1.2 million followers. While other comics were hesitant to share their material on social media, Delaney is considered one of the first comedians to use social media to publish jokes. Delaney credits comedy writer and director Graham Linehan with his rise in popularity after Linehan began responding to Delaney's tweets. In 2010, Paste magazine named Delaney one of the ten funniest people on Twitter. In May 2012, he became the first comedian to win the 'Funniest Person on Twitter Award' at The Comedy Awards hosted by Comedy Central. Delaney has written several articles for Vice as well as The Guardian. His book Rob Delaney: Mother. Wife. Sister. Human. Warrior. Falcon. Yardstick. Turban. Cabbage. was published by Spiegel & Grau in November 2013. In December 2011, Comedy Central announced that Delaney would shoot a pilot for a variety show, called "@RobDelaney". However, the series was never picked up by them. Instead, Delaney moved on to co-write and co-star with Sharon Horgan in Catastrophe, that began airing in the UK on January 19, 2015 on Channel 4. The show follows them after they get together following a brief affair while he is in the UK on business, and then moves there permanently after he learns that she has become pregnant. It debuted in the United States on Amazon in June 2015. There are now three seasons on Amazon and the show has been renewed for a fourth. The fourth season is confirmed to be the final of series. Channel 4 aired the concluding episode on February 12, 2019, while Amazon announced the US release date to be March 15, the same year. The series earned him his sole Emmy nomination, for "Outstanding Comedy Writing"
Since moving to the UK in 2014, Delaney has appeared on several British panel shows, including Have I Got News for You, Would I Lie to You?, 8 Out of 10 Cats Does Countdown, The Big Fat Quiz of the Year and Room 101. In the film Deadpool 2, Delaney played Peter, an average middle-aged man, who has no powers and joins Deadpool's X-Force. As part of the film's promotion, a Twitter account was launched in Peter's name. In 2019, he will appear in Pokémon: Detective Pikachu. Delaney is an Irish American. Delaney is married; he and his wife, Leah Delaney, have four sons, one of whom died in January 2018. In February 2018, Delaney publicly shared that their son Henry had died, age two and a half, the month before, after having been diagnosed with a brain tumor in 2016 and receiving extensive treatment. Delaney and his family live in London. In June 2018, Delaney announced that his wife was pregnant with the couple's fifth child. Delaney has publicly shared his experience with depression and alcoholism. In 2002, Delaney blacked out while driving and drove his car into a building owned by the Los Angeles Department of Water and Power. In the wreck, he broke his left wrist and right arm, and had both of his knees scratched to the bone. This prompted Delaney to stop drinking. Delaney is a left-wing progressive and often writes about political issues. He has said that he chooses presidential candidates based mostly on their policies regarding education and health care, reasoning: "Make it easier for your citizens to be healthy and smart and they will save you in ways you have yet to imagine." He supported Bernie Sanders in the 2016 Democratic primary and voted for Hillary Clinton in the subsequent general election. After Donald Trump was elected president, Delaney joined the Democratic Socialists of America, the National Association for the Advancement of Colored People, and the American Civil Liberties Union. In June 2017, Delaney endorsed the Labour Party in the 2017 UK general election. In November 2018 he supported a petition organised by Labour campaign group Momentum calling on Labour MPs to vote against the EU withdrawal agreement which had been negotiated by Theresa May's government. Delaney was the first presenter on the CBeebies Bed Time Stories programme to tell a story in Makaton, which he used to use to communicate with his late son Henry. In February 2019, Delaney endorsed Senator Bernie Sanders in his second presidential campaign. 2018 Deadpool 2 Peter W.
↑ "How 'funniest person on Twitter' Rob Delaney revived the TV romcom – The Boston Globe". Boston Globe. Retrieved 21 April 2016. ↑ Delaney, Rob (November 5, 2013). "Rob Delaney: A Beautiful, Shimmering Red Flag". Esquire. Retrieved December 5, 2014. ↑ Friar, Christine (April 27, 2012). "Rob Delaney Talks Abortion, Comedy And That Famous Green Speedo With 'Vice'". HuffPost. Retrieved May 3, 2012. ↑ "Rob Delaney, From Free Twitter Jokes to Comedic Stardom". #TheLabNYC. June 19, 2013. Archived from the original on October 26, 2014. Retrieved December 5, 2014. ↑ Holt, Kris (July 4, 2012). "Rob Delaney to The Daily Dot: 'I had to be good at Twitter'". The Daily Dot. Retrieved December 5, 2014. ↑ "The 10 Best Comedians of 2010". Paste Magazine. December 6, 2010. Retrieved May 3, 2012. ↑ "Rob Delaney: First comedian to win 'funniest person on Twitter'". mashable. Retrieved August 1, 2012. ↑ "Articles by Rob Delaney". Vice Magazine. Retrieved May 3, 2012. ↑ "Rob Delaney Profile". The Guardian. Retrieved December 5, 2014. ↑ Gilbert, Matthew (November 16, 2013). "Book Review: Rob Delaney by Rob Delaney". Boston Globe. ↑ Ryan, Kyle (November 4, 2013). "Rob Delaney: Mother. Wife. Sister. Human. Warrior. Falcon. Yardstick. Turban. Cabbage". The A.V. Club. Retrieved December 10, 2013. ↑ "Comedy Central preps Twitter show". c21media.net. December 8, 2011. Retrieved December 16, 2011. ↑ "Catastrophe a new C4 comedy created by Rob Delaney and Sharon Horgan" (Press release). Channel 4. ↑ "Star Wars' Carrie Fisher in new Sharon Horgan comedy Catastrophe – first look". Radio Times. 2015. Retrieved January 15, 2015. ↑ "'Catastrophe' renewed for seasons 3 and 4". Entertainment Weekly's EW.com. Retrieved November 16, 2016. ↑ "Sharon Horgan teases Carrie Fisher tribute and emotional ending in final ever episode of Catastrophe". Radio Times. Retrieved February 16, 2019. ↑ Wright, Megh (February 12, 2019). "Catastrophe Returns to the States for Its Final Season Next Month". Vulture. Retrieved February 16, 2019. ↑ "Rob Delaney". Television Academy. Retrieved February 16, 2019. ↑ "Rob Delaney confirms he WILL star in Pokemon: Detective Pikachu alongside Ryan Reynolds". Radio Times. Retrieved 16 February 2019. ↑ "Irish American Bostonian Rob Delaney named the 'Funniest Person on Twitter'". IrishCentral.com. May 7, 2012. Retrieved January 4, 2019. ↑ North, Kyle (November 5, 2013). "Rob Delaney explains why Phoebe Gloeckner's A Child's Life is "the North Star"". The A.V. Club. The Onion. Retrieved October 24, 2014. ↑ Delaney, Rob [@robdelaney] (August 22, 2014). "UK • Can you share this tweet with your grandfather & any stupid cousins?" (Tweet). Retrieved March 4, 2019 – via Twitter. ↑ "Catastrophe actor Rob Delaney announces wife's pregnancy". The Guardian. June 30, 2018. Retrieved December 27, 2018. ↑ On Depression & Getting Help. 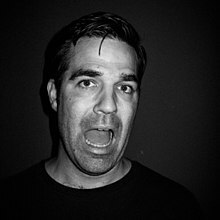 Robdelaney.tumblr.com (February 26, 2010). Retrieved 22 May 2012. ↑ Delaney, Rob (October 1, 2010). "Comedy". Vice. Retrieved December 5, 2014. ↑ Delaney, Rob (2011). "Take a Stroll... With Rob Delaney: Helping You, Helping Me". Vice. Retrieved January 6, 2015. ↑ Freeman, Hadley (September 17, 2012). "Rob Delaney: 'Twitter has rocketed me to a whole new level of standup'". The Guardian. Retrieved October 25, 2012. ↑ Delaney, Rob (2011). "Take a Stroll... With Rob Delaney: A Voter's Guide". Vice. Retrieved December 28, 2016. ↑ Delaney, Rob (2016). "Who I'm voting for and why". Tumblr. Retrieved December 28, 2016. ↑ Milne, Oliver (June 8, 2017). "Who are celebrities voting for in 2017 General Election? The A-Z of famous names supporting Labour, the Tories, the Lib Dems and Greens". Daily Mirror. Retrieved June 14, 2017. ↑ Ramiro, Joana (November 19, 2018). "This comedy star just supported a Momentum petition to bring down May's Brexit deal". Left Foot Forward. Retrieved November 19, 2018. ↑ "Delaney to read and sign CBeebies story". BBC News. November 13, 2018. Retrieved 19 November 2018. ↑ Constant, Paul. "Yes, a Bird Is an Animal". The Stranger. Retrieved 11 January 2019. ↑ "Peter from Deadpool 2 Has His Own Hilarious Twitter Account". April 19, 2018.